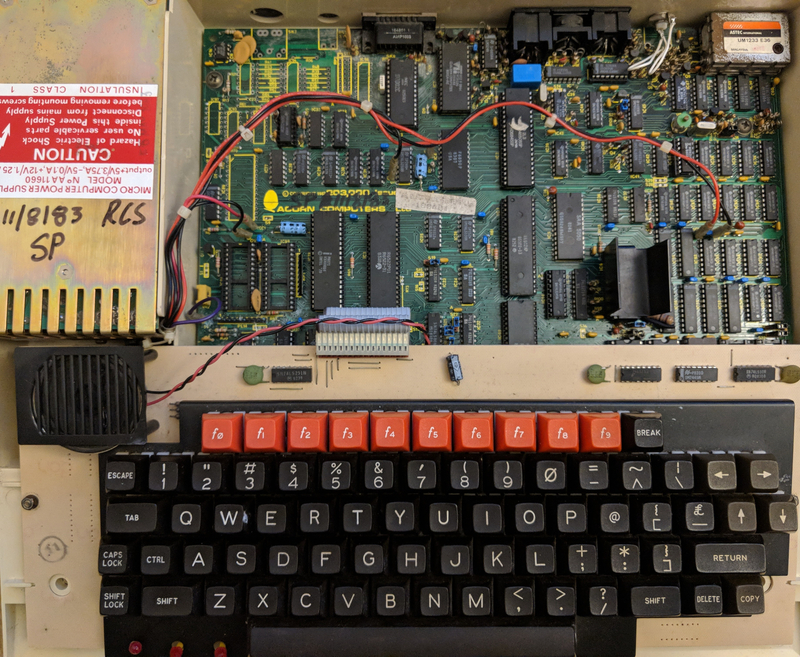 After plugging it in to the TV using the RGB cable from my Acorn Electron and turning it on I heard the familiar double beep and saw the boot screen, all appeared well. However when I changed into any screen mode other than mode 7, I got lines of pixels running up the screen and flickering on and off. 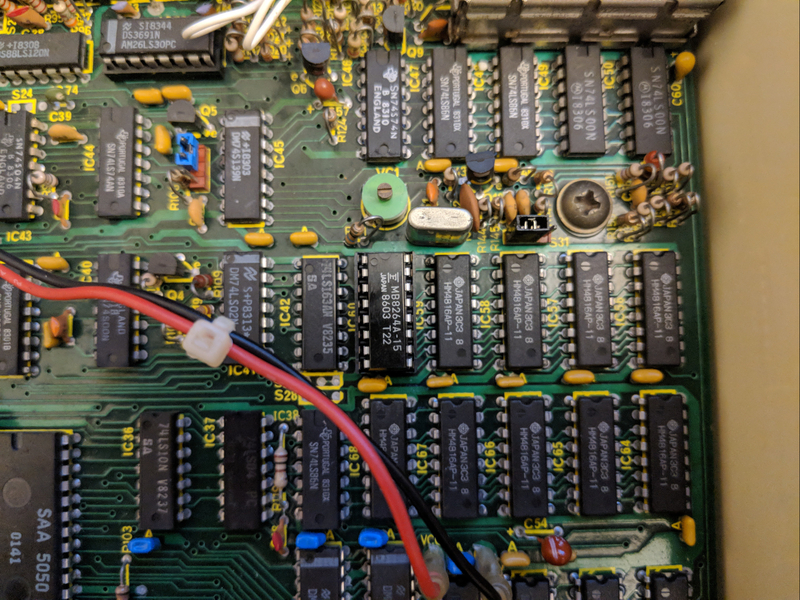 My suspicion was one or more of the ram chips and after testing some 8264 ram chips by piggy-backing them onto the existing chips I found IC60 to be faulty. I de-soldered the old IC and put in a socket and the new 8264 ram chip (drop in replacement for the 4816 ram chips in the BBC). While I was there I replaced the electrolytic capacitors and changed the thermal paste on the ULA heat sink. Hey presto, the glitch has gone from all modes! I’m now finally a proud owner of a BBC Micro just a mere 34 years after they introduced me to the world of computing. Thanks Acorn!! Now to find a copy of Elite!